Operation Torch, the British-American invasion of French north Africa saw 500 Allied soldiers killed. Operation Husky, the Allied Invasion of Sicily, saw 2,811 US servicemen killed in action, with another 686 missing in action. Operation Neptune, known the world over as D-Day, saw more than 10,000 Allied casualties. Operation Detachment, also known as the Battle of Iwo Jima, cost the US 6,821 lives. And Operation Iceberg, the Battle of Okinawa, added up to 12,520 men killed in action, 20,195 Americans dead in total, 55,162 wounded, and 26,000 psychiatric casualties. In fact, were it not for his four years in the US Navy during World War II, Gentry would have lived his entire life in Richmond. But when Pearl Harbor happened, he was drafted into the Navy Amphibious Corps, and his first appointment was North Africa. More than 70 years later, Gentry can joke a bit about the experience. When he came home from the fighting, things were a lot more serious. After four long years of mission after mission, the stress of what he had been doing and how close death had come calling had finally caught up with Gentry. He did his best to avoid going on the water from then on out. Instead he went back to college at a business school and wound up in wholesale distribution industry selling office supplies. 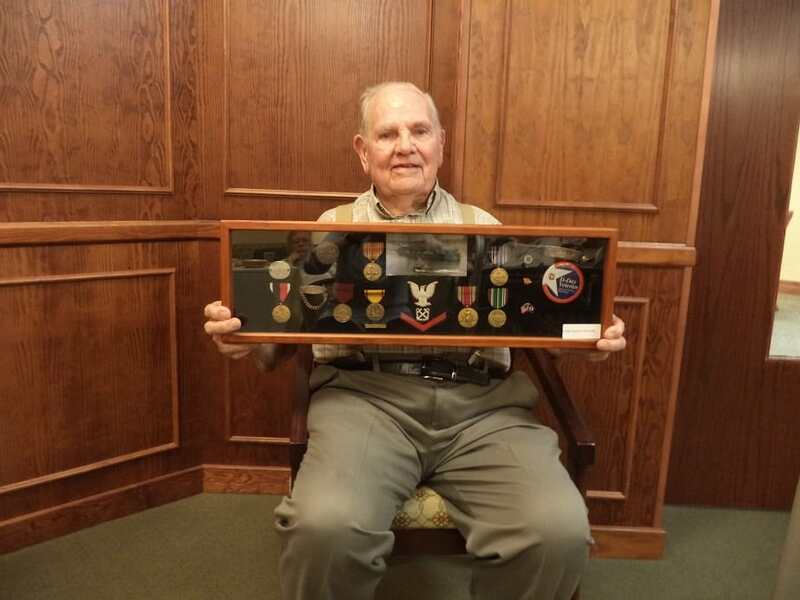 He and his wife had two children together and between his wholesale business and his time in the Navy, Gentry was able to retire at 62. Nobody expects to live 30 years past their retirement, but that’s exactly what Gentry has done. As he and his wife aged to the point that they thought they might need help, he and his two children began a thorough search for a new home. Unfortunately, Gentry’s wife passed away some 18 months ago from Alzheimer’s Disease, but he still believes the move was for the best. Want to hear about the most beautiful take on getting older that you’ll ever hear? Take a trip to Discovery Village at the West End in Richmond, Virginia, and ask to speak to Don Kammerdiener. 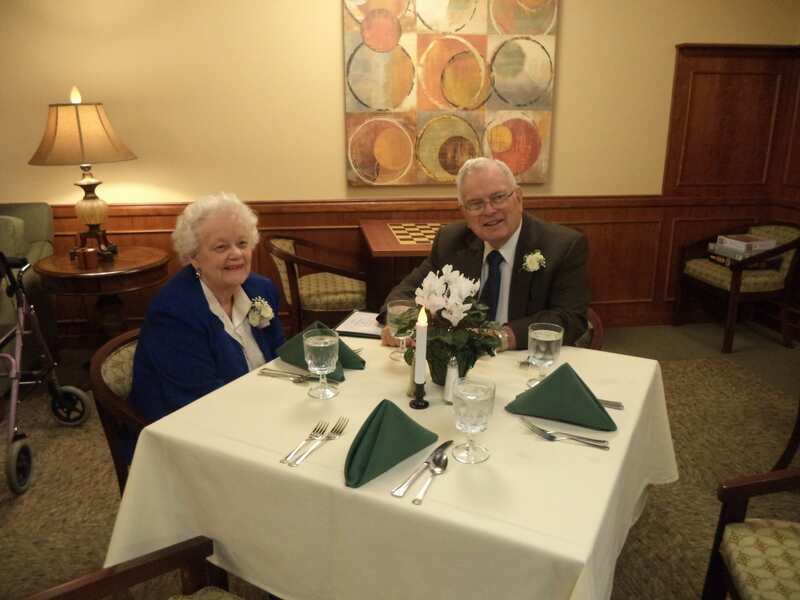 High school sweethearts, the Kammerdieners have been a couple for 65 years and are coming up on 60 years of marriage. And while they seem right at home in Richmond, they’re also world travelers, thanks to their life as Baptist missionaries. Born in Oklahoma and raised in Kansas City, Missouri, Don Kammerdiener met his wife at church and became high school sweethearts. Two kids from the American Midwest wound up spending seven years in Colombia and another 10 in Buenos Aires, Argentina, before returning home to the United States. In 2014, Don and Meredith both started noticing her memory was beginning to lapse. Don had already begun having vision problems, and they made a very responsible decision that a majority of people struggle mightily with. The writing was on the wall when Meredith fell at home and broke her leg. After surgery to mend the bone, the couple made the move, which turned out to be a huge blessing. Having moved around during their missionary years, the transition to a senior retirement community went over well for the couple. And once they were settled in, they began to realize for all the time they had spent in Richmond, they didn’t really know it all that well. While Meredith battles Alzheimer’s, the two have remained true to their roots as missionaries. Singing, like joy, comes from within.